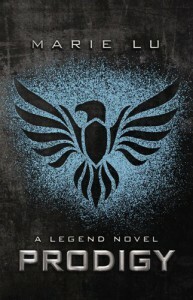 The first book [b:Legend|9275658|Legend (Legend, #1)|Marie Lu|https://d.gr-assets.com/books/1333909141s/9275658.jpg|14157512] lacked worldbuilding, but it was made up in this part. We get a lot of new information about the Colonies, the Republic, the war, and the history, which was interesting to read about. Though the plot was a bit slow, it still was a good book. Ps. Really hated Tess in this book.